In December, I reached out to Boots and Julie, two other active paper doll bloggers. 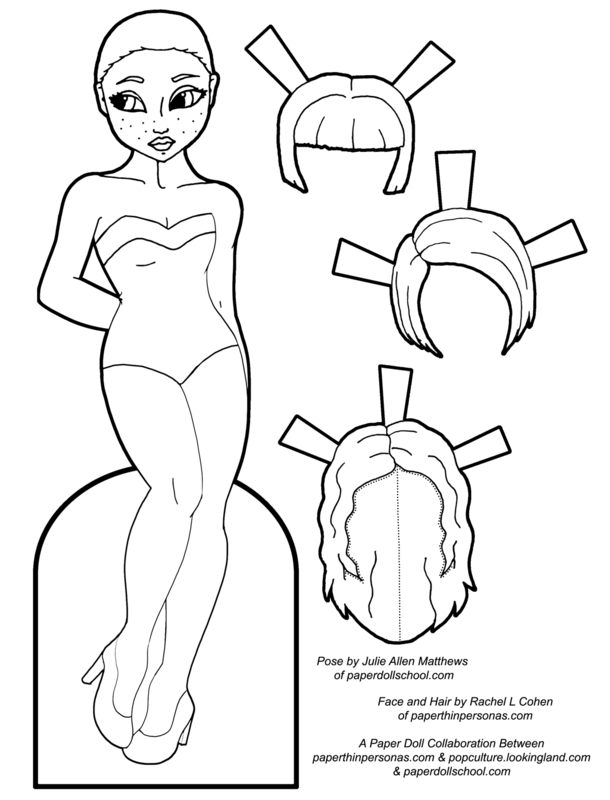 We discussed doing another collaboration, like the October Halloween Paper Doll from a few years ago, but we thought it might be neat to do something for the whole year. So, assuming we don’t abandon the whole project in a few months, here’s the plan. Every last week in January, we will all post outfits that will fit today’s paper doll. The pose was beautifully drawn by Julie, of Paper Doll School, and each of us created our own heads for the doll. I also added some decoration to her swimsuit, because I can’t just leave things well enough alone. We also came up with a list of themes for the rest of the year. Our first theme was to draw a dress from the Year we were born. So, my 1985 dress will post on Friday. Until then, you’ll just have to deal with a cold paper doll, since the poor girl doesn’t have any clothing yet. Here is Boots‘, of Pop Culture and Paper Dolls, version of the doll and here is Julie’s, of Paper Doll School, version of the doll. I love this! Her freckles are great. I wish I had thought to create wigs for mine, too. Thank you for reaching out & spearheading such a fun project!! This is so awesome! My 3 favorite creators, this is going to be a wonderful set! Thank you! Thank you! I just hope everything fits.